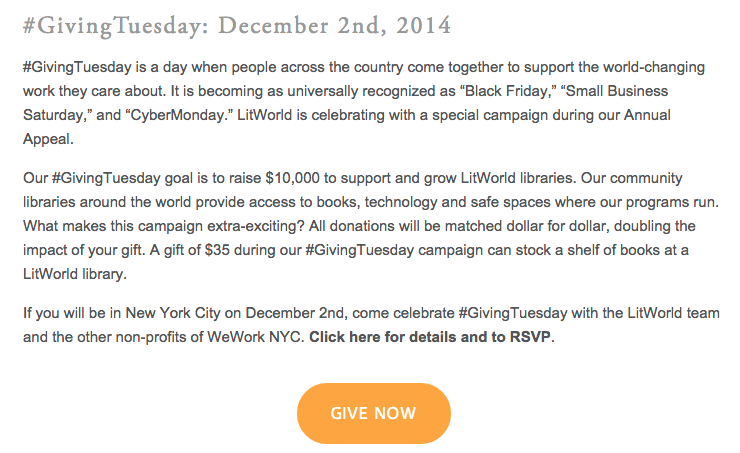 Our friends at LitWorld have a very special day coming up on December 2nd. You can read all about #GivingTuesday above and at this link. Please consider giving to this beautiful event and giving to lifelong love of reading to others by clicking on "Give Now". What a difference we can all make this holiday season and in the lives of so many. It's Here! PebbleGo Next from Capstone! 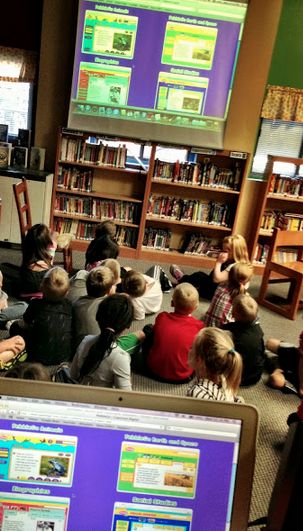 Two years ago we added Capstone's PebbleGo to the Van Meter School library collection as one of the wonderful resources that Heartland AEA brings to the area school districts. I have never seen any online database bring this much excitement, learning, and fun along with it! All of our youngest learners from Pre-K through 3rd grade loved everything about PebbleGo and we found them using it on the laptops and iPads all of the time at school and home. Last Friday Capstone brought this excitement to everyone again with its release of PebbleGo Next State & American Indians Studies! From the moment I heard they were creating this new database I couldn't wait for this day....and I just know all of you will be excited to check it out too! 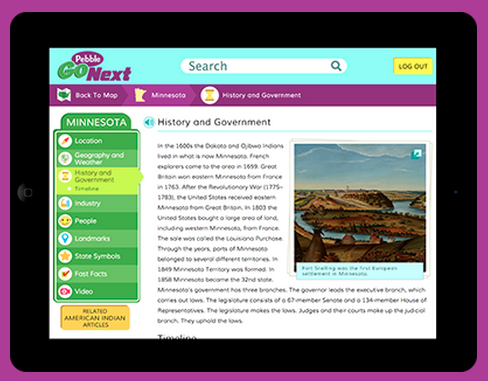 PebbleGo Next was created with our 3rd through 6th grade learners in mind giving them an amazing place to go to learn more about all 50 states and each American tribe. 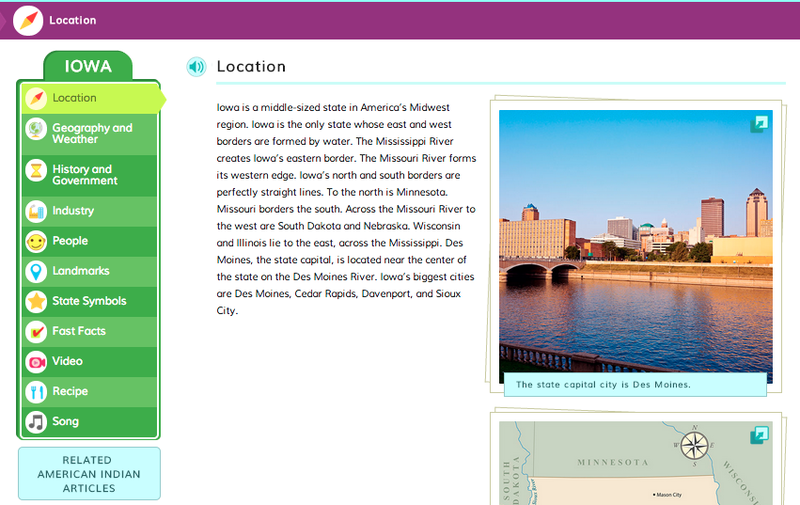 Within PebbleGo Next, students can click on the map to navigate to the information they want to find. They can explore the U.S. 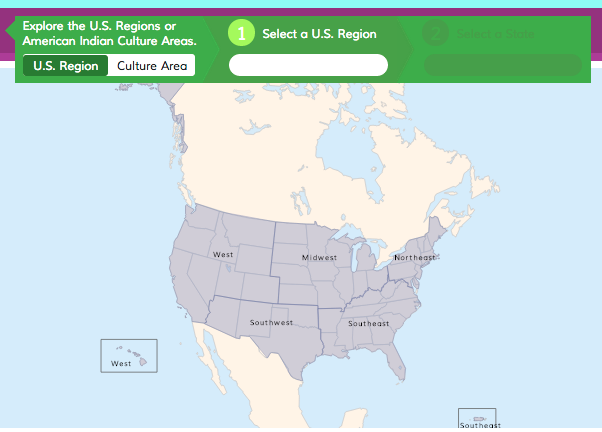 Regions or American Indian Culture Areas by selecting either on top of the map. Once within the U.S Region or Culture Area, students are just a few clicks away from the articles. They can click on a U.S. Region or Culture Area of the American Indian Tribe which will prompt them to narrow their search even further. 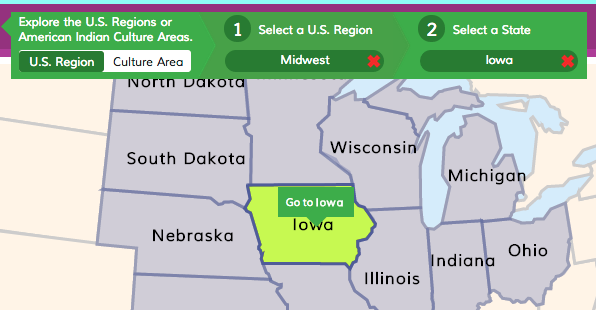 Once a state is selected within that region, PebbleGo Next will show the tribes within their Traditional and Present Location. This is one of my favorite parts of this database....especially how you can look at each overlay at the same time. I wanted to learn more about the Ute tribe so I clicked on the map which took me into the article. Once in each article, PebbleGo Next takes the reader on a wonderful adventure through different topics such as Family Life, Traditions, and Modern Life. 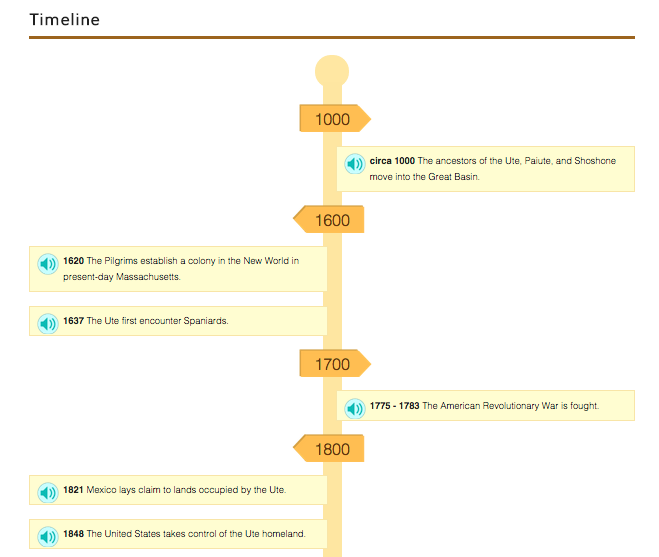 and timeline. 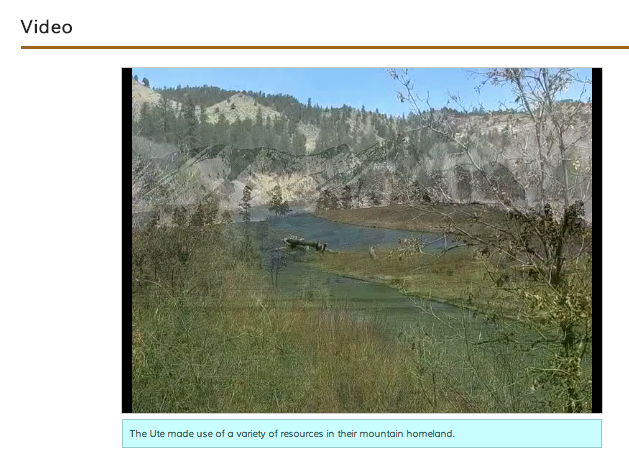 I learned so much about the Ute tribe from Colorado and several others as I navigated my way through PebbleGo Next. 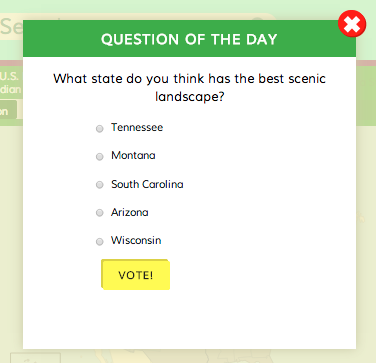 To learn from the 50 different state articles, you go back to the map and click on the region and state. It is easy to use the "Search" box at the top of each page as well. 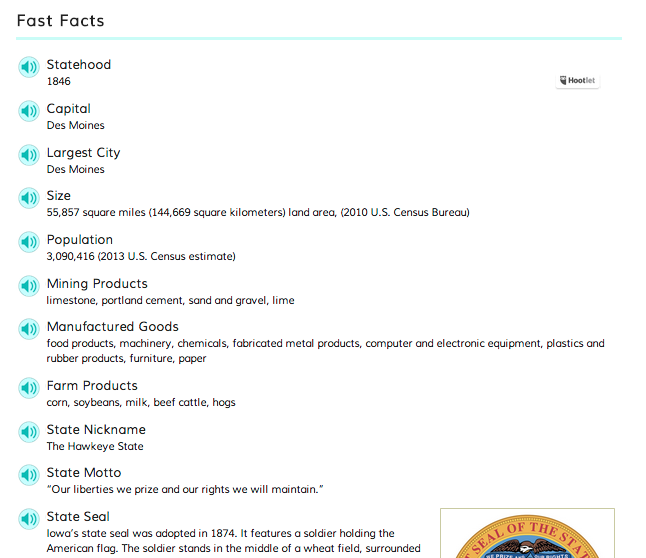 I went to Iowa and was excited to learn new things about my Hawkeye State. Fast Facts, which will come in very handy for all of us. Throughout the entire database, there are little speakers next to every entry which gives our reader live voice narration. 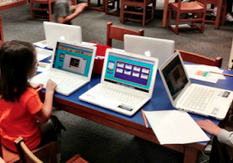 One of the BEST things Capstone has included with PebbleGo Next are the activities for each article. One is able to click "Print", type the responses, and print or save the sheet. 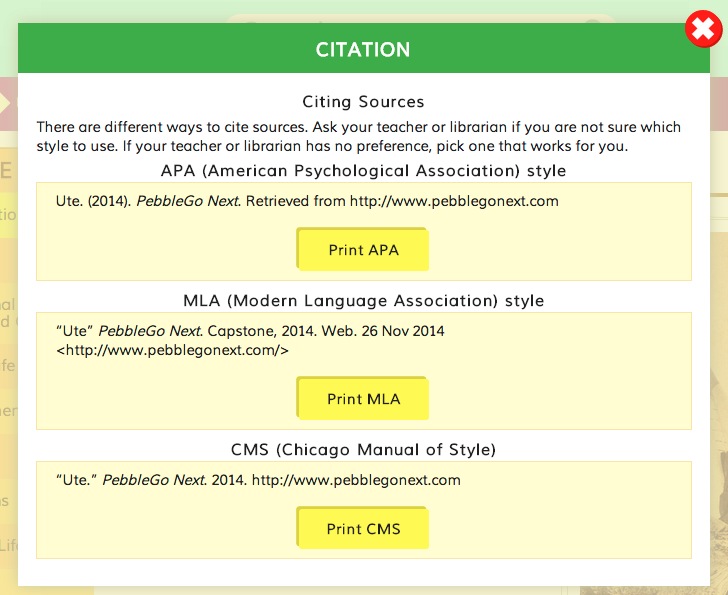 Three styles of citations are included with each article too. 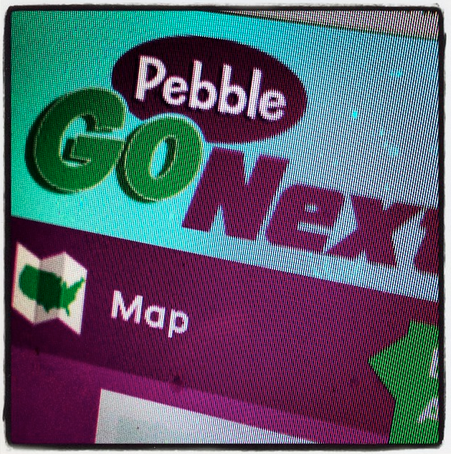 One more super fun thing I love about PebbleGo are the two buttons included on the front page below the map. Our young people can go to "Games" to find eight different games to play about the United States and American Indian Tribes. 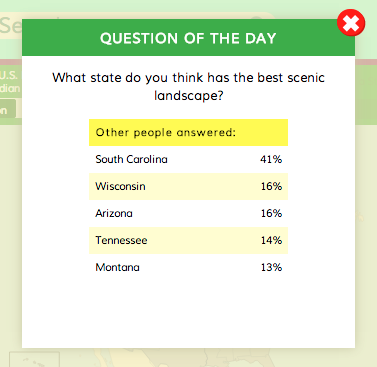 They can also answer the "Question of the Day", which is fun for them to see what others have answered. Just like PebbleGo, Next is available through the browser on most devices too. My son Hagan and I are having fun trying PebbleGo Next as our Thanksgiving break starts. I hope you take a little time to try it out too....I know you and your students will love it just as much as we do! 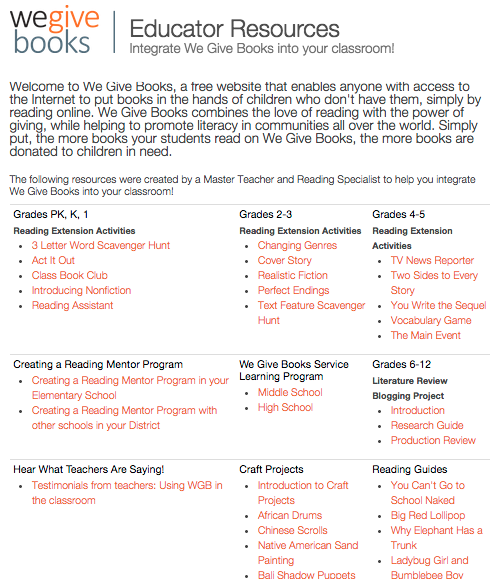 "We Give Books" Has Wonderful Holiday eBooks, Sharing, & Ideas For Everyone! 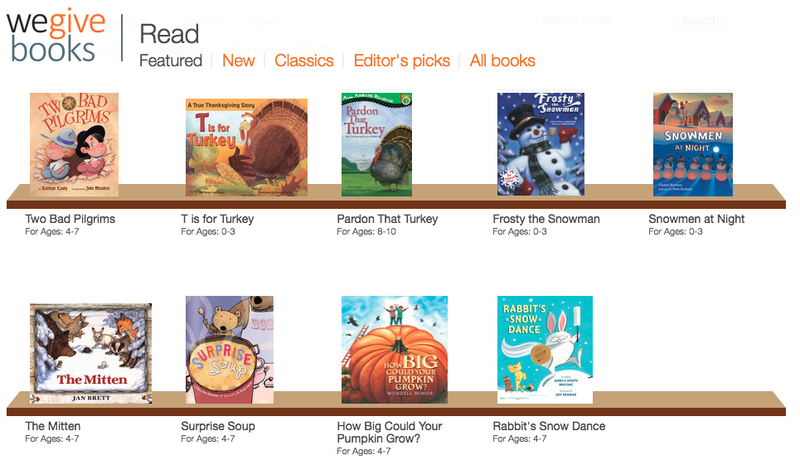 This is the perfect week to find some extra fun holiday eBooks to read at home and as you celebrate Thanksgiving with your family and friends. 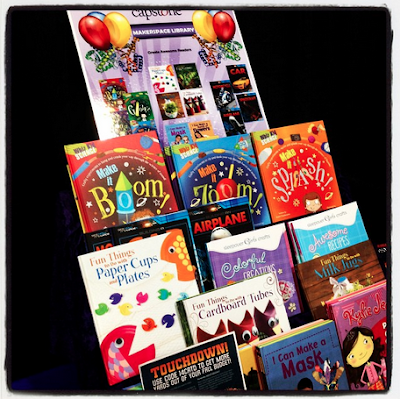 We Give Books does a wonderful job of pulling together eBooks for their Featured Collections throughout the year....and the ones they have featured currently prove just that! We Give Books has a special place on their site just for all of us to share how we celebrating reading during the holidays. By clicking on "Share Your Celebrations" you can share yours too and have the chance to win a Season's Readings prize pack. They have included a rich collection of Educator Resources to integrate We Give Books into your library and classroom which include activities like 3 Letter Word Scavenger Hunt, Cover Story, and so much more. I am always amazed at everything We Give Books has to offer our young readers, educators, librarians, families, and communities. You can read all about this beautiful organization on their website and how they recently joined another one of my favorite organizations, First Book. Happy Thanksgiving Everyone.....and happy, happy reading! 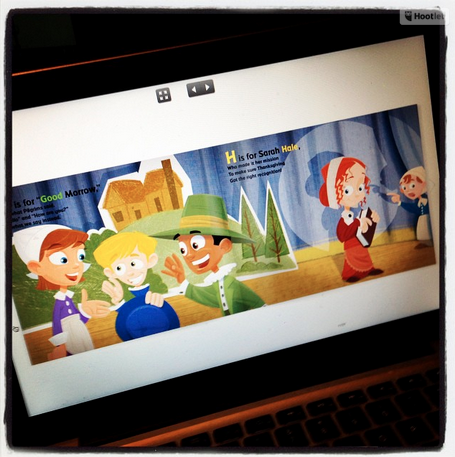 Photos for Class From Our Friends At Storyboard That! I was so excited when my friends at Storyboard That told me there was something new coming! 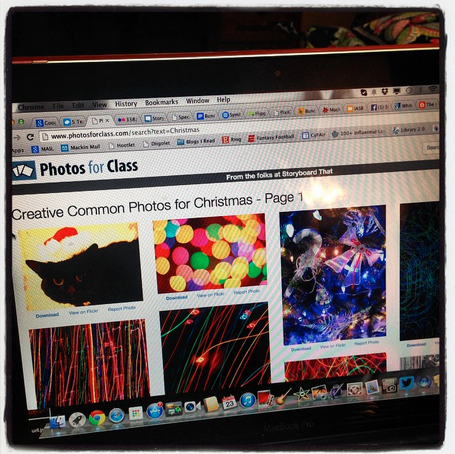 And when I got an email sharing Photos for Class I couldn't wait to try it out and share this awesome new website they have created for all of us. 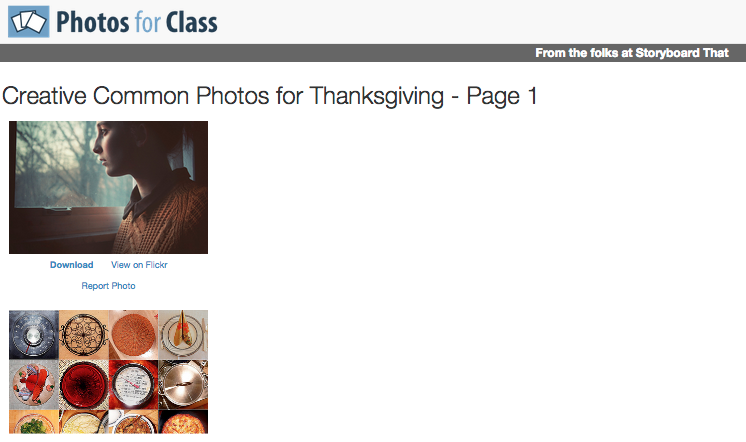 Photos for Class is very simple, quick, and safe to use. You just type what you want to search for in the "Search Box" and click on "Find Photos". It searches images in Flickr and Creative Commons. You can then properly download attributed, copyright free images. I am very excited about Photos for Class and just know it will be helpful and exciting for our young people to use when creating wonderful projects and assignments. So Surprised By My #SkypeMoments Emoticon! Yesterday I received one of the best emails ever. When I opened it I saw a tiny cartoon that looked like me. When I read the email and looked a little closer I smiled to know that a cartoonist for Skype actually created a tiny little emoticon of me! I can't share too much yet, but there will be more to come super soon. 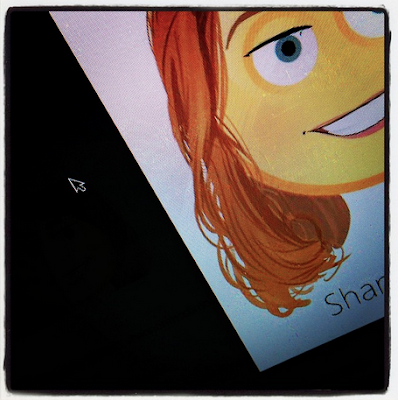 And there will be a very special place for the #SkypeMoment Shannon emoticon too. 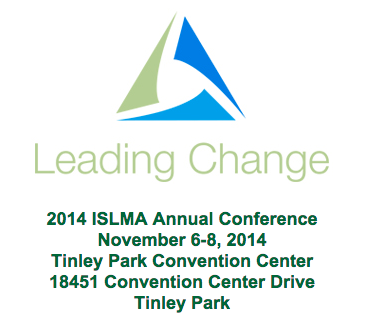 Leading Change With ISLMA In Illinois Last Week! 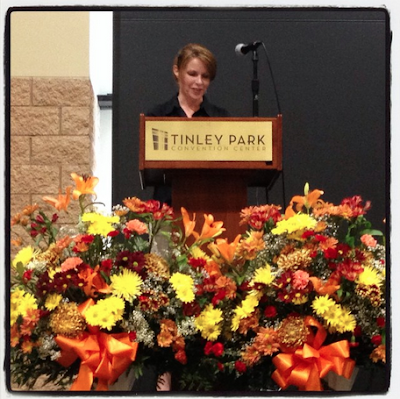 Last week I had the wonderful honor of being part of the Illinois School Library Media Association Annual Conference in Tinley Park. What an amazing group of educators and new friends! ISLMA included a variety of amazing concurrent sessions, events, and even a Makerspace at their three day conference. The first night we went to the dinner that featured the creators of the Unshelved comic series. They were very entertaining and had lots of funny library stories to share. 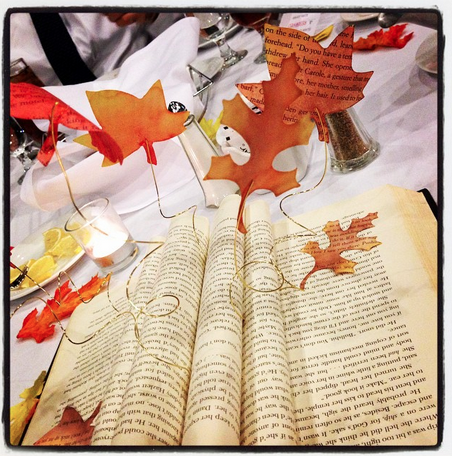 The centerpieces on the tables were beautifully created from old books....We just loved that touch. After the dinner, we headed to the Makerspace area to try out all of the fun things they had set up. 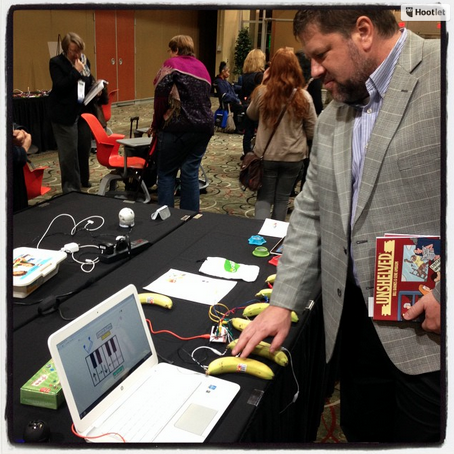 Eric played a little music with the banana Makey Makey keyboard. 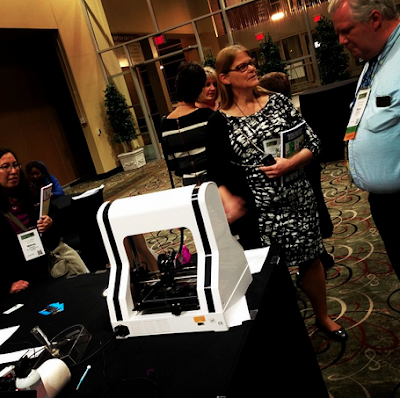 I loved seeing the 3D printer that they had set up and all of the fun things that were printing. 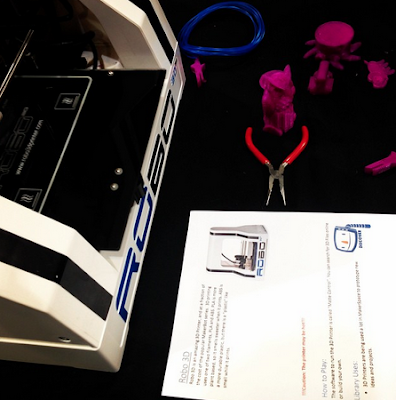 I hadn't seen the Robo 3D printers before so that was great being able to check them out. 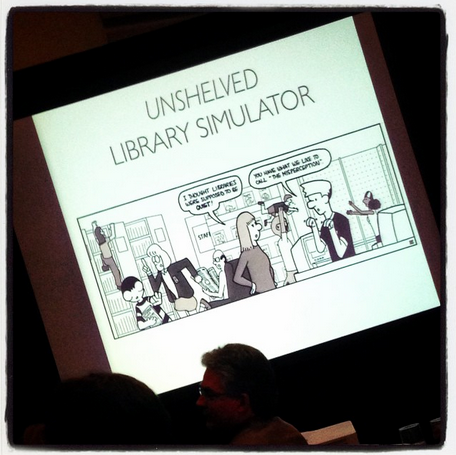 The next morning I loved seeing tons of awesome Makerspace books Kori Kubitz featured in the Capstone Library booth! I couldn't help but think how much any young person would love to have these books in their library and Makerspace. At lunch we were so happy to watch one of my favorite children's authors Laura Murray win an award for her book The Gingerbread Man Loose In the School. The illustrator Mike Lowry was also there to accept his award. You can read more about Laura and check out the adorable little Gingerbread Man on her website. And more about Mike on his. I presented throughout the day and wanted to share them. 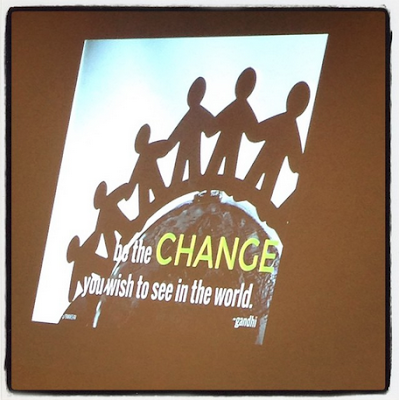 At the end of the day, I did the closing keynote called Be The Change. How To Be A Connected School Leader. I had so much fun speaking and learning with everyone. Thank you to everyone at ISLMA..... You are definitely leading change in our profession and within education!